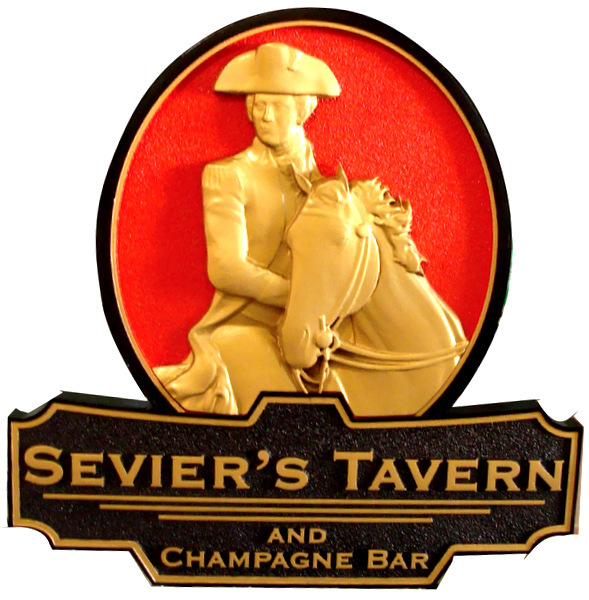 Above is a photo of a gold-leaf-gilded 3D carved High-Density-Urethane (HDU) outdoor sign, for the Sevier's Tavern and Champagne bar . The horse and rider are 24K gold-leaf gilded; the text is painted with metallic gold paint. This sign is 36 inches in high, but it and similar signs can be made in any size from 16 inches to 60 inches in diameter.